Mark’s philosophy focuses on continual life-long learning. He enhances the well-being of his clients by empowering them with the knowledge, skills, support, guidance and resources to assist and inspire them on their journey to a healthier life. In his classes he focuses on training through a variety of exercises from different disciplines. His ability to properly guide people through weight, strength and metabolic training techniques ensures not only that his clients get the results they want but that they are preventing future injuries and muscle imbalances. 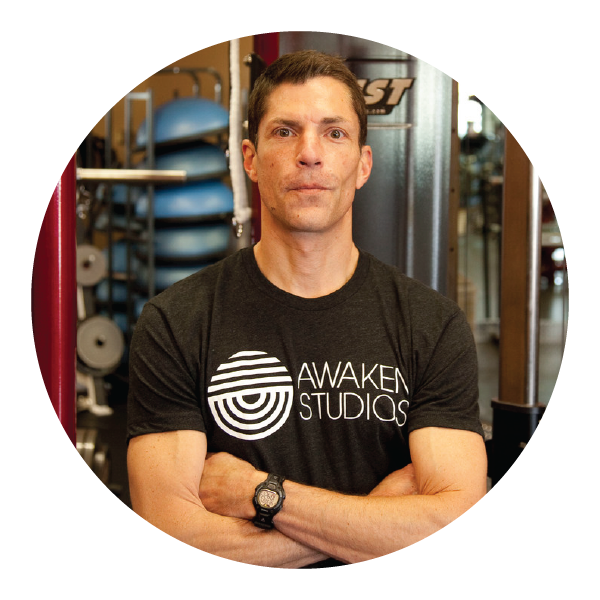 Mark’s credentials include: being a certified personal trainer with NASM (National association of sports medicine), Corrective Exercise Specialist, and Kinesis, TRX, and Core Athletic Conditioning and Performance Training.